← Do you want to Grow Your Business? The results are of two general types, organic (i.e., retrieved by the search engine’s algorithm) and sponsored (i.e., advertisements). The results are normally ranked by relevance to the query. 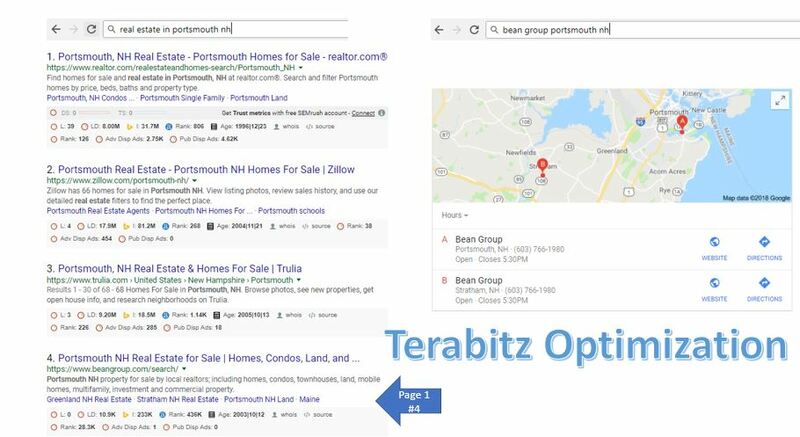 Each result displayed on the SERP normally includes a title, a link that points to the actual page on the Web and a short description showing where the keywords have matched content within the page for organic results. For sponsored results, the advertiser chooses what to display. Due to the huge number of items that are available or related to the query there usually are several SERPs in response to a single search query as the search engine or the user’s preferences restrict viewing to a subset of results per page. Each succeeding page will tend to have lower ranking or lower relevancy results. Just like the world of traditional print media and its advertising, this enables competitive pricing for page real estate, but compounded by the dynamics of consumer expectations and intent— unlike static print media where the content and the advertising on every page is the same all of the time for all viewers, despite such hard copy being localized to some degree, usually geographic, like state, metro-area, city, or neighborhoods. Search engines like Google or Bing have started to expand their data into encyclopedias and other rich sources of information. It is important that you have the correct architecture and SEO tools on your site to be able to achieve the required SERP results to drive leads into your site. For a more comprehensive conversation about your SEO and SERP, please email me at egilleo@pcmsconsulting or fill out this form and I will be back to you shortly!